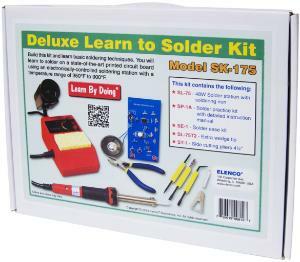 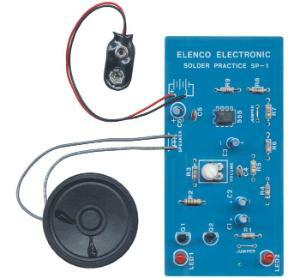 Soldering set for the advanced user. 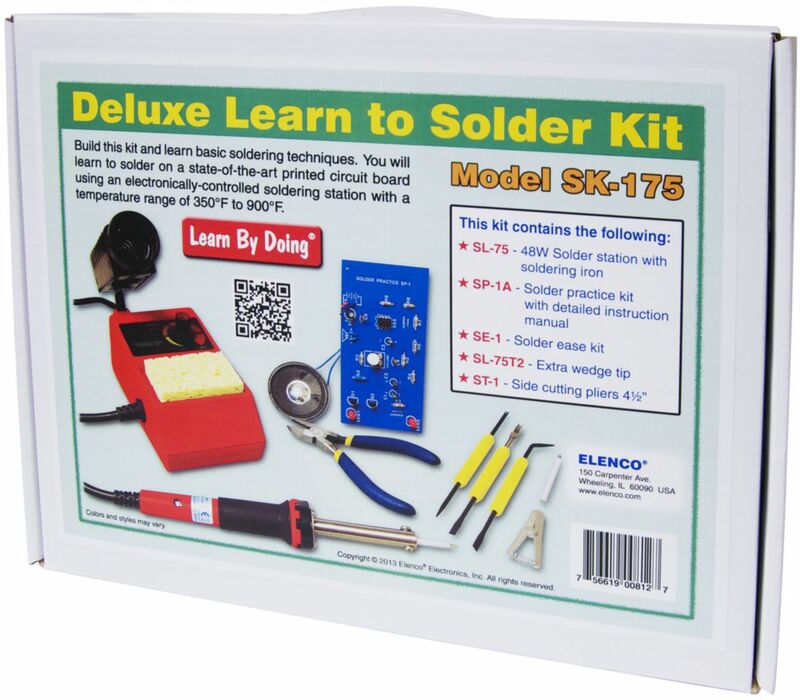 Learn how to solder properly using a variable temperature solder station providing a temperature range of 350° to 900°F. 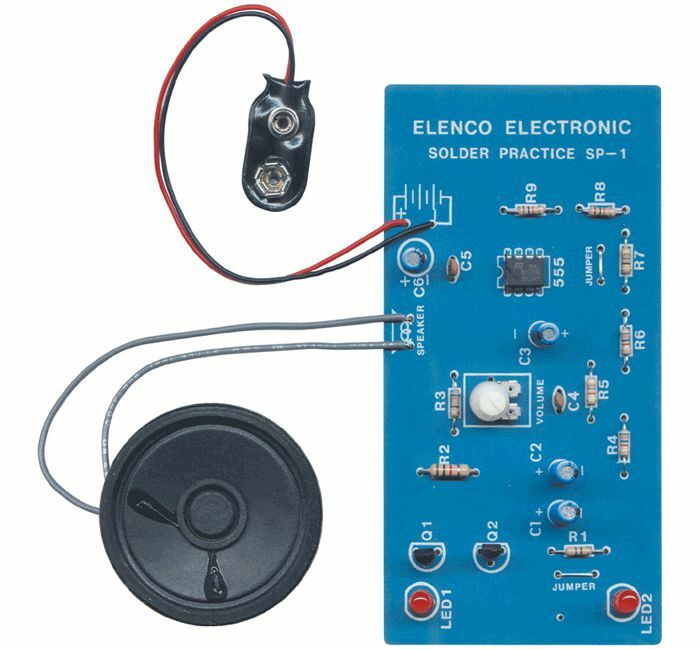 It will provide the correct temperature for the broad range of electronic components that are present in today's electronic equipment. 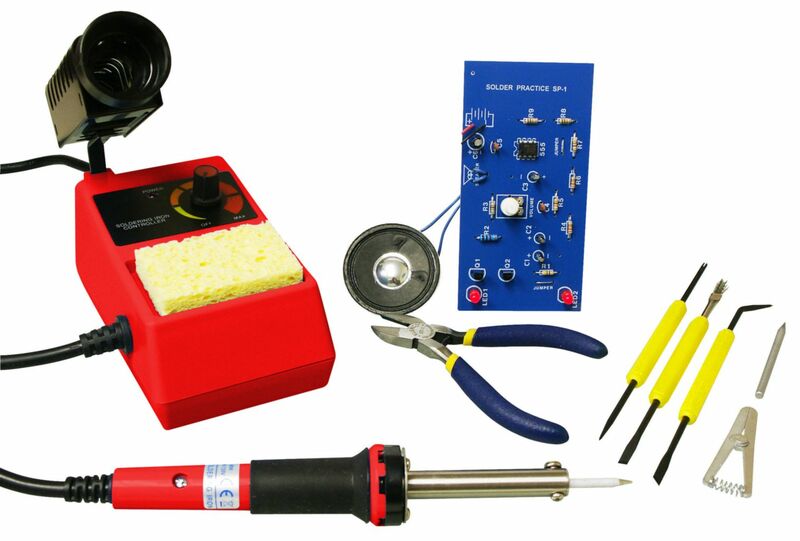 Ordering information: This kit contains Variable temperature station with conical tip; Wedge tip; Solder practice kit; Side cutters; and Solder ease kit. All packed together in a handy box with handle for incarryg.